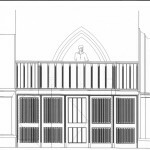 Work on the West End Project started early last summer with the removal of the old vestry screen and the cupboards in the vestry. During August 2012 the electricians consolidated the fuse boxes and switches in preparation for the building work. The electrical work, carried out by a Ducklington firm, Wiring Solutions Group, was completed successfully by the end of the month. Work on the next stage (carried out by Townsend Bros Builders Ltd) commenced on 15th October 2012. 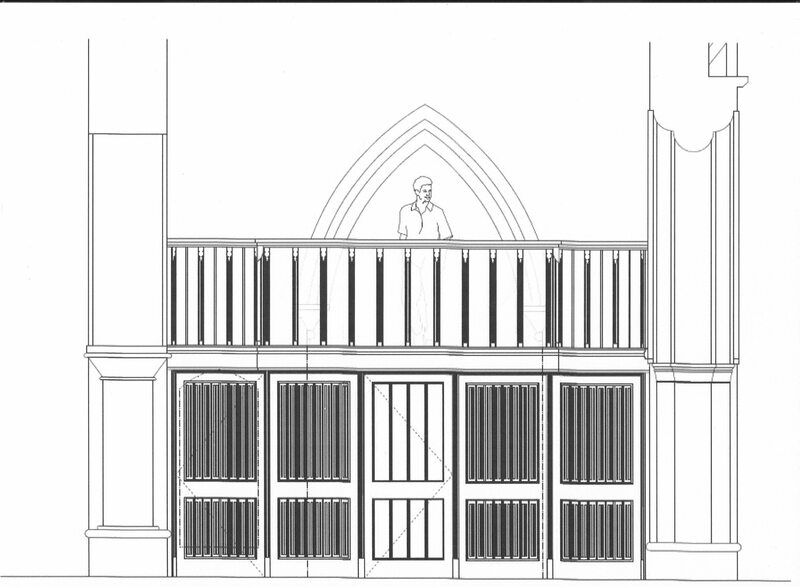 During October and November, the ringing room was modified with a new, lower, floor and the the addition of a balcony. 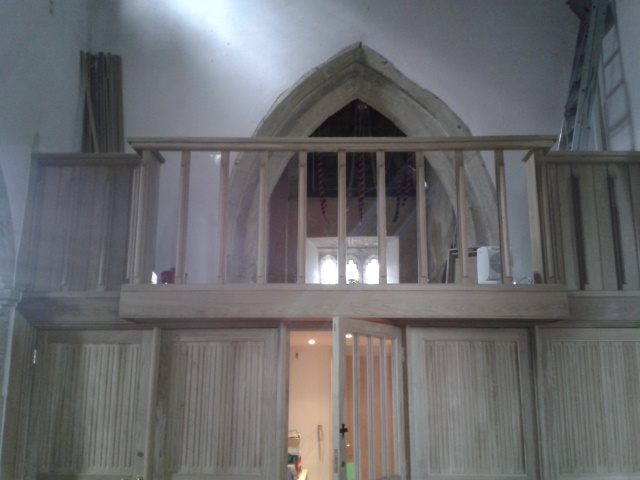 An oak screen was constructed and a cubicle installed. We are nearing the end but still need to raise a further £3 – 5,000 to ensure the next stage of the project which will be installation of the toilet and completion of the associated drainage works. Take a look at the photos below – click on the photo and it will take you to the next one!